I have been interested in this camera for some time now. The more that I read about it the more that I wanted one. The problem for me was the price. As the X-E1 has recently been replaced by the X-E2, the former has become a very good deal. FUJIFILM Corporation (President: Shigehiro Nakajima) is proud to announce the launch of the FUJIFILM X-E1, the second interchangeable camera from the brand this year. Following hot on the heels of the highly acclaimed FUJIFILM X-Pro1, the X-E1 boasts the same 16 megapixel APS-C X-Trans CMOS Sensor with top-class OLED electronic viewfinder, a smaller body with built-in flash and the same X mount for the FUJINON XF lens range. In addition, Fujifilm will expand the lens line-up from 3 to 5 in autumn, and up to 10 in early 2013. With its convenient portable size and fast autofocus speed, the X-E1 promises to be an exciting addition to the X series range. Due to hit the market in autumn this year, and available in two variations Silver and Black, the attractive classical design of the X-E1 interchangeable lens camera will have wide appeal. Made in Japan, the X-E1 exudes class and high quality, as can be seen from each of its components. The top and front covers are made from die-cast magnesium for a rigid, yet delicate design. At roughly the same size as the FUJIFILM X100, the X-E1 is refreshingly compact and lightweight (only 350g*), in spite of its advanced feature set. Featuring a rubber grip for additional hold, it is a well balanced camera with the X lens mount positioned centrally on the camera so that the weight of the body and the lens is distributed evenly. Its ease of use was paramount in the minds of Fujifilm's engineers when designing the X-E1. As on other X series models, the sides of the dials on the top panel feature a textured pattern for smooth adjustment. Users can turn the aperture ring on the lens with their left hand, and operate the dials for shutter speed and exposure compensation on the top panel with their right hand for quick setting changes without having to take their eye off the viewfinder. Functions frequently used during shooting can be assigned to the Fn (Function) button for a smooth photo shoot. The X-E1 will be available as a silver version, perfect for those who want a cool, retro look to emphasize their own style, and as a black version for photographers who would prefer to blend in to their surroundings without drawing the attention of their subjects. Despite a host of convenient features and lightweight design, the X-E1 can take approx. 350 shots per charge**, allowing users to concentrate on their photography without having to worry about the remaining battery power. Additionally, the camera features a high-precision built-in flash equivalent to guide number of 7***. The use of the proprietary TTL metering system enables indoor shooting of close-up shots with an appropriate amount of light. High-definition and high-luminance 2.36 million dot "OLED electronic viewfinder"
Unlike the X-Pro1 with its hybrid multi viewfinder, the X-E1 camera boasts an OLED electronic viewfinder with a resolution of 2.36 million dots, making it one of the highest resolutions available on digital cameras with EVFs*4. The viewfinder on the X-E1 has a unique lens structure consisting of two glass elements and one double aspherical element, which in conjunction with the OLED offers an incredibly high quality display. The OLED panel offers a high resolution of 2.36 million dots, with a high contrast ratio of 1:5000*5 resulting in rich gradation and faithful reproduction of focus, exposure, white balance and film simulation effects in the viewfinder. The two glass elements and one double aspheric element used in the viewfinder construction offers an experience similar to an optical viewfinder, with a clear, distortion and aberration free view to all corners of the image. A wide 25 degree horizontal field of view allows the user to scan the entire scene quickly and easily. The inclusion of a soft resin on the eyepiece allows eyeglass wearers to comfortably use the viewfinder, whilst the diopter dial allows you to adjust the distance between your eye and the EVF, to a position suited to your viewing preference. The FUJIFILM X-E1 features the same 16.3 megapixel APS-C X-Trans CMOS Sensor as the FUJIFILM X-Pro1. Its unique color filter array can effectively minimise moiré and false colors without the need for an optical low pass filter. This makes it possible for the camera to maximise its advanced resolution capture, and to record each photograph brightly and clearly across the whole image. Conventional color filters use a repeated arrangement of 2x2 pixel sets, which is prone to the manifestation of moiré and false colors. These are controlled with an optical low pass filter, inserted between the filter and the lens. However, the low pass filter itself causes degradation in image resolution. In contrast, the X-Trans CMOS sensor, inspired by the random arrangement of fine silver halide grains seen in photographic film, adopts a more complex, random arrangement of 6x6 pixel sets to reduce moiré and false colors. This innovative array of pixels eliminates the need for an optical low pass filter, and lets the X-Trans CMOS sensor capture unfiltered light from the lens avoiding any of the resolution reduction this causes, ensuring you get extra high resolution images that can withstand enlargement to a 2,700mm x 1,800mm size. This unique color filter arrangement is also incredibly effective in noise separation in high sensitivity photography producing low-noise images even at high ISOs. In addition, one advantage of the use of the large APS-C sensor is the ability to create a large beautiful bokeh background effect — the out of focus effect when shooting with a shallow depth of field. The X-E1 features the fast, high-precision "EXR Processor Pro" for quick responses whatever you're shooting. The EXR Processor Pro receives image signals from the complex X-Trans CMOS Sensor and processes the information swiftly ensuring you can move on to your next shot without delay. The highly agile linear motor in the newly announced XF18-55mm lens combines with the high-speed signal readout of the CMOS sensor and the newly developed EXR Processor Pro, to achieve a huge leap in AF speed and precision performance. Contrast Detection in the X-E1 brings your subject into sharp focus in as little as 0.1seconds. A masterpiece in optical technology, the high quality all-glass lens structure consists of 14 elements in 10 groups, including 3 aspherical lenses and 1 extra low dispersion element, and a seven-blade rounded diaphragm. This zoom lens covers a broad range of frequently-used focal lengths from 18mm in wide angle to 55mm mid telephoto*6 to cater for a variety of scenes including landscape and snap shots. At F2.8-4.0 wide open, this fast lens is perfect for low-light photography or scenes with a beautiful bokeh effect. The compact design of this lens, made possible by optimising its component layout, enhances its portability. Advanced optical and mechanical designs are optimised to keep the lens compact, measuring 65.0mm x 70.4mm (wide), despite offering maximum aperture of F2.8. The lens features an aperture ring so that users can adjust the aperture in a natural movement while holding the camera up to the eye, just as on other XF lenses. The lens includes an OIS (Optical Image Stabilizer) to provide image stabilization equivalent to 4 stops, controlling the effect of camera shake and allowing users to seize perfect photo opportunities. Fujifilm's X mount system has a short flange back distance of just 17.7mm to maximize the advantage of the camera's mirrorless design, which eliminates the mirror box mechanism. The wide opening allows the lens to be mounted approx. 7.5mm into the body from the mount surface. The back focus distance has been reduced as much as possible to achieve the compact and lightweight lens design for easy portability. The short back focus distance also prevents vignetting to maintain high resolution to all edges of an image. The mount features ten contact pins to facilitate high-speed communication between the body and lenses. Autofocus, aperture and other lens movements are conveyed to the body at high speed. When fitted with a FUJIFILM M Mount Adapter, the X-E1 can use a wide variety of M lenses to broaden the scope of your photography. The X-E1 offers Fujifilm's creative "Film Simulation Modes" to simulate the distinctive textures of conventional photo film. Use the high saturation "Velvia" for landscape shots with stunning primary colors, "ASTIA" for faithful smooth skin tone reproduction and the more versatile "PROVIA" for its natural look, as well as two additional settings based on professional color negative films. Soft tonal PRO Neg.Std and the sharper PRO Neg.Hi are both suitable for indoor portrait photography. 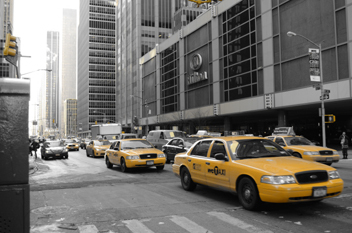 Three types of filter simulation are also available for monochrome and sepia looks. The Film Simulation Bracketing function uses a single exposure to produce three images with Film Simulation effects applied. Advanced digital processing enables "multiple exposure", in which two exposures are superimposed to create a single image. After selecting the Multiple Exposure mode, take the first shot, and display the image on either the EVF or LCD monitor as reference when taking the second shot. This system facilitates more accurate positioning and focusing. The ability to take two shots while visually checking the finished image allows users to produce unique photographic expressions. Shoot Full HD movies (1920 x 1080) at 24fps. In addition you can now use Monochrome or Film Simulation modes when video recording, and even take advantage of the X-E1's large sensor and bright XF lenses to capture movies with beautiful defocused bokeh effect. Connect a microphone (commercially available), with Ø2.5mm jack to the Microphone/remote release connector and record audio with enhanced clarity and presence. The X-E1 allows you to take videos without having to worry about the camera body's operation noise or lenses' motor sound being captured. I ordered one today. I am looking forward to its arrival. TOKYO – Nikon Corporation is pleased to announce the release of the Nikon D5100, a Nikon DX-format digital-SLR camera equipped with a vari-angle monitor, and a CMOS image sensor and the EXPEED 2 image-processing engine that enable high-resolution rendering and rich expression of tones. The D5100 is a member of the popular D5000 series. The D5000 was the first Nikon digital-SLR camera equipped with the vari-angle monitor that allows users to enjoy flexible shooting from a wide variety of angles. The vari-angle monitor adopted for the D5100 has been enlarged to three inches, and utilizes a side hinge that enables flexible use from more angles with hand-held shooting and when the camera is mounted on a tripod. The camera is also equipped with the D-Movie function that supports recording of full-HD (1920 X 1080p, 30p) movies, as well as a Special Effects mode with which a variety of special effects can be applied to still images and movies. The D5100 was designed to respond to the needs of a broad range of users, from those using a digital-SLR camera for the first time, to those looking for a camera that allows them to express their individual sense of creativity through still images and movies. The D5100 is equipped with the same DX-format CMOS image sensor and EXPEED 2 image-processing engine as the high-end D7000 digital-SLR camera. These features enable capture of high-resolution images with excellent expression of tones. With standard sensitivity settings of ISO 100–6400 and additional increases up to Hi 2 (ISO 25600 equivalent), the camera offers improved capability with shooting under dim lighting, such as in the evening or indoors, and also produces better results with capture of rapidly moving subjects. 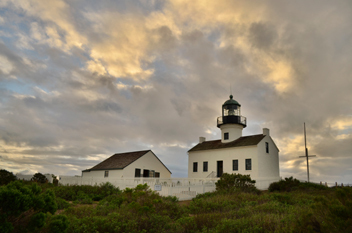 The High Dynamic Range (HDR) function captures two shots of varying exposure each time the shutter-release button is pressed, and then combines the two shots into a single image with a broad dynamic range. Resulting images beautifully recreate the scene as seen with the naked eye, even with shooting of backlit scenes, with little or no loss of detail in shadows or highlights. Visibility has been increased with the large 3-inch, approximately 921k-dot high-resolution vari-angle monitor adopted for the D5100. In addition, the range of colors that can be reproduced by the monitor is equivalent to that of the sRGB gamut. Adoption of a side hinge for the vari-angle monitor prevents the monitor from hitting the tripod when it is opened while the camera is mounted on a tripod. The vari-angle monitor opens from 0 to 180° to the side, and can be rotated up to 90° clockwise and up to 180° counter-clockwise when it is open. This enables shooting from a wide variety of angles, from low to high, making even self portraits possible. D-Movie for recording and editing of Full-HD movies The D5100 is equipped with the D-Movie function that enables recording of high-definition movies (1920 X 1080p, 30p) exhibiting superior video quality. Autofocusing during movie recording is possible using contrast-detect AF. When the focus mode is set to full-time-servo AF (AF-F) and the AF-area mode to subject-tracking AF, the camera automatically maintains focus on a subject moving throughout the frame. The D5100 also offers in-camera movie editing functions that allow users to save a single frame as a still JPEG image or delete unnecessary portions from the beginning and/or end of movie files. What's more, the D5100 is equipped with built-in support for stereo audio recording via the Stereo Microphone ME-1 (available separately), and the mode dial and live view switch have been positioned on the same spindle in consideration of operational ease. 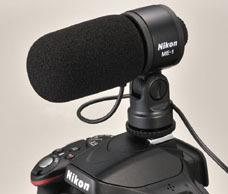 The optional Stereo Microphone ME-1 can be used to record sound in stereo while also preventing noise caused by lens vibration being recorded during autofocus. The D5100 offers special effects that can be selected and applied with both shooting of still images and recording of movies. Special effects are displayed with the view through the lens in the monitor before shooting or recording begins, allowing users to confirm the desired results in real time. Users can easily enjoy adding special effects to movies. This mode was adopted to respond to the creative intent of users searching for a way to express their own unique style and creativity. All colors other than those selected by the user are recorded in black and white. Up to three colors can be selected at a time. The camera detects and colors outlines for a color sketch effect. Users can use the monitor display to adjust the vividness of colors and the thickness of outlines. Distant subjects appear as miniatures for a diorama effect. Users can choose the orientation (vertical/horizontal) and width (narrow/normal/wide) of the area that will be in focus. When this option is selected, extremely high ISO sensitivities are used (up to ISO 102400 equivalent). This enables shooting under conditions of darkness while verifying the subject and composition in the monitor. *RAW recording is not possible. Still images can only be recorded in JPEG (black-and-white) format. Only contrast-detect AF can be used. Infrared receivers for remote control operation on the front and back of the camera enable wireless control over the shutter from both in front of and behind the camera (optional ML-L3 wireless remote control supported). Built-in HDMI-CEC compatibility enables control over playback of still images and movies using the television's remote control when the camera is connected to a high-definition TV via the HDMI connector. A frame rate of 30 p (actual frame rate 29.97 fps) is available when NTSC is selected for video mode. 25 p is available when PAL is selected for video mode. Actual frame rate when 24 p is selected is 23.976 fps. The D600 is a new model added to the Nikon FX-format digital SLR lineup with a smaller size and lighter weight–approx. 141 (W) x 113 (H) x 82 (D) mm, 760 g*1 for excellent portability, yet offers the superior image quality and rendering performance, operation, and durability of high-end FX-format D-SLRs. The D600 is a compact and lightweight camera that offers excellent cost performance. In addition to a new FX-format CMOS image sensor with an effective pixel count of 24.3-million pixels and the same EXPEED 3 image-processing engine built into high-end models, the D600 inherits a number of advanced features from its high-end cousins, including an optical viewfinder with frame coverage of 100%*2, a large and clear, 3.2-inch LCD monitor with a wide viewing angle for superior visibility, and the same dust- and water-resistance as the D800 and D800E. What's more, this single FX-format camera also offers support for the complete DX NIKKOR lens lineup for greater convenience with both still image shooting and movie recording. The D600 makes full use of its 24.3-million effective pixels with high-resolution, full-HD movie recording (1920 x 1080/30p). It is also equipped with the Multi-area mode Full-HD D-Movie function, which enables recording in either FX- or DX-based movie format for more creative imaging expression. The Nikon FX format in a compact and lightweight body for excellent portability The D600 measures approximately 141.0 x 113.0 x 82.0 mm (W x H x D) and weights approximately 760 g*, making it extremely compact and the lightest Nikon FX-format digital SLR camera available. In addition to adoption of a lightweight and durable magnesium alloy for the top and rear body covers, all joints are effectively sealed for the same superior dust- and water-resistance as the D800 and D800E. A new 24.3-megapixel FX-format CMOS image sensor for superior image quality and resolution over a broad range of sensitivities The D600 is equipped with a new FX-format CMOS image sensor with an effective pixel count of 24.3-million pixels that ensures a high signal-to-noise ratio and broad dynamic range. The camera supports a broad range of standard sensitivities, from ISO 100 to ISO 6400, for beautiful images exhibiting very little noise and rich expression of tones. The range of sensitivities can also be expanded to the equivalent of ISO 50 (Lo 1) or up to the ISO 25600 equivalent (Hi 2). What's more, use of NIKKOR lenses equipped with Nikon's advanced optical technologies maximizes performance of the D600's FX-format CMOS sensor, with its effective pixel count of 24.3-million pixels, for images that offer clear and sharp reproduction of even the finest details. The EXPEED 3 image-processing engine, optimized for high-performance digital SLR cameras like the D600, for superior, high-speed processing The D600 is equipped with the same EXPEED 3 high-speed image-processing engine built into high-end D4, D800, and D800E Nikon FX-format cameras. The EXPEED 3 image-processing engine has been optimized for digital SLR cameras to offer faster and better performance for faithful rendering, vivid color reproduction, and expression of a broad dynamic range. It also effectively suppresses noise with advanced noise-reduction processing for still images captured at high sensitivities under dim lighting, all while preserving definition and sharpness. Special noise-reduction processing designed especially for movies maintains crisp, clear outlines in movies recorded in low-light situationse. Excellent basic camera performance and operation for comfortable shooting Adoption of the Multi-CAM4800 autofocus sensor module enables certain acquisition and tracking of the intended subject with 39 focus points. Cross-type sensors have been adopted for the nine most frequently used focus points at the center of the frame. In addition, seven focus points (5 horizontal focus points and 1 each above and below at the center of the frame) are fully functional at f/8. All of this means more precise autofocusing when super-telephoto NIKKOR lenses are used with a teleconverter (2.0x). High-resolution, full-HD movie recording at 1290 x 1080/30p making full use of a high effective pixel count of 24.3-million pixels, and Multi-area mode Full-HD D-Movie for recording movies in one of two formats By simply pressing the movie-record button just above and to the left of the shutter-release button in movie live view mode, users can enjoy movie recording that makes full use of the camera's 24.3-million effective pixels. Not only does the D600 support full-HD movie recording at 1920 x 1080/30p, but adoption of the H.264/MPEG-4 AVC video compression standard ensures that superior picture quality is maintained while data is compressed to allow for recording of a single movie for up to 29 minutes and 59 seconds*1. Looking for a good alternative to the 24-70mm f/2.8 lens? I picked up one of these for my Nikon D700. I like this lens! Very handy zoom range. Very sharp images. It is a "good one". A 5X standard zoom lens with a fixed maximum aperture of f/4 through the full 24mm to 120mm range of focal lengths A 5X standard zoom lens that offers superior function and performance. This zoom lens has a high reproduction ratio that is both practical and functional for professional and advanced amateur photographers. It consistently demonstrates excellent rendering performance. Built-in vibration reduction (VR II) offering camera shake compensation equivalent to a shutter speed increase of approximately four steps Equipped with two VR modes, Normal and Active, the vibration reduction function responds to a variety of shooting scenes. How quickly did we get here? It amazes me how quickly the transition from film to digital occurred. Looking on the "net", very high quality film cameras are almost being given away. I believe that there is a place for the film cameras, even in this world of digital photography. Film and slide scanners are one way to bring film into the 21st century. This is from the Nikon home page. Compared to other Japanese camera manufacturers, Nikon Corporation has considerably more to discuss --- for its history extends from the Nikon I (originally "Nikon Camera") to the Nikon F5. Starting with the official history of Nikon Corporation*, there is an unending flood of books and magazine specials written by researchers specializing in different fields. Even though Nikon Corporation was a late starter in camera development after World War II, the superiority of its products was soon recognized by the camera industry. The dramatic expansion of Nikon into a global company is a fascinating story, and provides the fuel for this range of historical works. The Nikon camera story begins with the release of the Nikon I in 1948, while the F5, its direct descendant, made its appearance in April 1996. I think that taking a chronological look over these 50 years of history and various model changes is a fascinating task. But what happens if you trace backwards ? That's what I've done with this article --- review Nikon camera history in reverse chronological order, examining the links between models and the characteristics of each product. I would like to focus on the Nikon F4, rather than the F5, because the latter is too new to discuss from a historical perspective. *Before April 1988, Nikon Corporation was known as Nippon Kogaku K.K. What then, were the basic concepts in the F4's development ? Nikon announced the debut of the Nikon F4 in Japan (Nippon), the U.S. and Germany in September 1988, and released it in December of that year. It immediately gained excellent reviews from users, and became the camera of choice for professionals and other serious photographers around the world. The F4 is still preeminent on the "front line" of action today, 10 years later, as its performance-driven features continue to distinguish it even among the wide range of AF SLRs available. To find out, let's go back to March, 1982. That year, the Nikon FM2 was released, and remains popular today as a reliable manual, fully mechanical camera with a rich selection of basic functions. In addition to other features, the early FM2 offered a flash sync speed (that is, the shutter speed possible when used with a Speedlight) of 1 / 200 sec. This surpassed the previous 20-year standard of 1 / 125 sec. and was made possible by Nikon's superb titanium (Ti) technology. A high flash sync speed reduces the possibility of getting an overexposed background or blurred subject in flash photography. As a result of the FM2's faster flash sync speed, advanced daylight synchro photography became much easier. Then in Mar. 1983, this high-speed shutter technology was further improved and used in the Nikon FE2 to achieve shutter speeds of 1 / 250 sec. This feature was a big hit with professionals and advanced amateurs, as it offered all the features needed in a high-grade SLR camera. However, at that time, the high-end F3 camera's flash sync speed was just 1 / 80 sec. Gradually, Nikon received a sharp rise in the number of customer requests for a new F3-class camera with high flash sync speed capability. In September of 1983, Nikon released the Nikon FA. This featured something that had been under development for some time --- a matrix metering system. The traditional center-weighted metering system was still popular for its consistent results, but there were some gripes. Backlight compensation, for example, required considerable guesswork as even experienced users made errors in judgment at times. With the Nikon FA's matrix metering system, however, the finder image was divided into five distinct metering areas. The ratio of light to dark is measured for each area individually and a microcomputer(CPU) analyzes data to calculate the optimal exposure. Of course, limitations in film latitude precluded this design from being the perfect solution, but in most cases the FA was praised for its ability to "handle almost any situation very well". Even professionals trusted it because metered exposures were "close to those based on years of experience". The center-weighted metering of the F3, on the other hand, was closer to a spot meter, and better suited to determining precise exposure for specific subjects. This required experience in judging precisely where in the finder image to measure. Thus, there grew a considerable demand for Nikon to develop a "convenient, reliable matrix metering system in the F3" as well. As a result, two new targets were defined for the F3 --- an enhanced shutter speed and metering system. Now let's take a look at autofocus technology for single-lens reflex (SLR) cameras. This had been under development in parallel with matrix metering, and finally reached the actual test stage. The TTL phase difference detection method sensed the degree to which the image was out of focus. The new technology delivered excellent performance even in continuous photography of moving subjects --- which is difficult to do manually. The Nikon F3AF, released in April 1983, featured this new technology. From these experiences, the camera development department recognized that a "top-level SLR should feature an AF system in the future." As we've seen, there had been a constant demand from users for Nikon to combine a high-speed shutter with matrixt metering. The AF system itself, however, also had to be developed and extended. As a result, it became apparent that a full model change for the F3 was in the offing. The F4 is not a high-grade version of a fully automatic point-and-shoot camera ! When you look at the specifications of the F4, including auto film advance/rewind, AF and automatic exposure, you might think its design is influenced by the development of full-auto lens shutter cameras. It is certainly understandable that some photographers believed that "the Nikon F series is being developed under the same concept as a decision-free camera." However, this was not the case. The actual development concept for the F4 was this: make a high-end SLR camera that produces the finest quality pictures possible. Of course, development concerns took into account the analysis of current and possible future technological advances. The first step --- build a better battery ? The first problem Nikon addressed was how much reliance to place on the batteries. The priority issue of ultrahigh-speed shutters could be implemented through mechanical means. But with the implementation of automatic exposure, however, this meant that the shutter should really be controlled electrically. And since the matrix metering system requires a microcomputer(CPU), the electrical circuit had to be quite large. When you add autofocusing needs to the design, an even larger circuit is called for. But even if a purely mechanical system capable of functioning without batteries was used, then that would demand the duplication of certain elements in the electrical and mechanical systems, making it difficult to assure reliability. Nikon engineers then realized it would vastly simplify design details to use only one system --- mechanical or electrical. Another point to be considered was the film advance / rewind mechanism. The advance / rewind mechanism consumed the most battery power at that time. Systems with motor drives required eight(8) R6 (AA) batteries for high-speed operation. If the motor were built into the body to move the shutter and film directly, it would probably be able to drive the system with only four (4) batteries. While the result would be larger than a manual-wind camera, it would still be considerably lighter and smaller than the conventional body-plus-motor drive approach. But even if this type of camera solved all the problems technically, how would customers receive it ? The prior model, the Nikon F3, was designed to maintain a number of basic functions even without batteries, but it basically required batteries in order to function, and utilized electrical signals throughout, including for motor drive control. As the years passed, comments from users changed from "I have to be able to take pictures even when the batteries go dead" to "Of course batteries are essential." And almost all motor drives at that time were unusable without battery power to operate them. As a result, a decision was made at a relatively early stage to use the internal motor design with a battery-drive approach. Given this, it would be necessary to have mechanical control of the shutter and certain other camera features without the use of the rest of the camera. For extra-long exposures, however, a mechanical method of opening the shutter was provided to reduce battery drain, even though the design used electrically operated shutters. The internal microcomputer(CPU) used for matrix metering was ideal for overall camera function control. In this way, the design philosophy of the "internal-motor microcomputer (CPU) controlled SLR" took shape. Of these, technical necessity led the engineering team to select the internal base-mount design because of the superior precision that it provided. A detachable design would have been quite difficult technically, so there was also a proposal to release two models, one for each customer group: the "F4AF" with internal AF, and the "F4MF" without AF. There were many different opinions and much debate and discussion within Nikon. Even if the two-model approach were adopted, there would also be the question of whether the "F4MF" without AF would be identical to the other model in all other respects, or if it would be developed later as a separate design. Eventually a decision was reached to use an internal AF, based on the assumption that the professional and advanced amateur users of the future would want AF. This article has concentrated on a cross-section of the F4's development at a certain period of time, and though it may appear that it merely incorporated the specifications of the full-auto camera without modification, this is not the case. In fact, the current F4 camera was developed through a succession of questions such as "what type of camera is needed ? " and "what is the optimum camera system ? " The advanced technical challenge of the F4 camera was evident in a number of places, but this thorough and determined approach was only natural given Nikon's attitude toward camera-making --- strive for the best. If only looked at through this stance alone, the F4 is unique in that other AF SLRs were developed from a basic desire to create or fill a product niche. The model changes of previous high-end Nikon cameras have always been based solidly on user feedback about current models. At the same time, Nikon Corporation has always been committed to creating the best high-end cameras. When the F4 is examined from this point of view, the specifications are perfectly in line with the comments and requests of our customers, and at the same time, new Nikon technology such as AF innovations are incorporated in an exciting blend of time-proven and new technologies. By the way, it is very interesting that Nikon's latest flagship model, the F5, was developed to satisfy the specific demands of photographers regarding AF. However, the overall degree of improvement was far greater than the original customer demand especially regarding exposure measurement. In other words, the developmental approaches behind the F4 and the F5 are quite different --- whereas exposure measurement improvements with the F4 were customer-driven, with the F5, it was AF innovations that were customer-driven. But both Nikon cameras were designed with the same goal in mind --- to create SLRs that perform to the world's highest standards. Sad fact is that the new camera that you purchased a few months ago is typically worth around half of what you paid for it. This situation can become a benefit if you "play your cards right". One way not to loose as much investment capital is to buy "used". But this can be a bit of a pain and there is typically little or no guarantee in the deal. Another way is to wait until the camera that you want has been on the market for a while and is about to be replace by a newer model. Quite often the price on the older camera will start to fall. So is now the case with the wonderful Nikon D700. 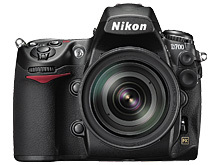 TOKYO – Nikon Corporation is pleased to announce the introduction of its newest FX-format digital SLR, the Nikon D700. 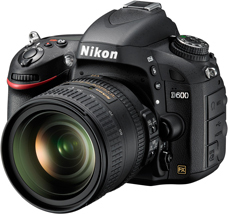 The D700 features an FX-format first introduced with the Nikon D3. Highly praised for its outstanding features, the D3 established a new level of professional performance in terms of overall image quality, extraordinarily low noise, ISO sensitivity range, continuous high-speed shooting, color gradation, image crispness, durability, weather-resistant operation, system versatility and more. The new D700 incorporates an extensive array of features that boast a level of performance that is in many ways comparable to the D3. At the same time, it derives a wide range of benefits – including functionality, flexibility and operability – from the more agile D300, Nikon's flagship DX-format D-SLR. The D700 has everything it takes to satisfy a broad spectrum of photographic needs. The 12.1-megapixel FX-format CMOS sensor with a sensing area of 36.0 x 23.9 mm; a sensitivity range of ISO 200 to 6400; continuous shooting at up to 5 frames per second (and up to 8 fps with the optional Multi-Power Battery Pack MB-D10; Nikon's exclusive 51-point AF system; Scene Recognition System for optimum autofocus, auto exposure and auto white balance detection – these are but a few of the advanced capabilities of the extraordinary new D700. 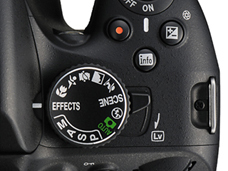 The D700 employs an FX-format CMOS image sensor with an area of 36.0mm (h) x 23.9mm (v). It provides superior picture quality throughout a wide ISO sensitivity range, with advantages that include a large pixel size to ensure a higher signal-to-noise ratio and wide dynamic range, and improved circuit layout to efficiently increase the strength of the electrical signal from pixels. High-speed, 12-channel readout enables fast continuous shooting of high-resolution images at up to 8 frames per second (with Multi-Power Battery Pack MB-D10 and Rechargeable Li-ion Battery EN-EL4a/4 or eight AA-size batteries). The D700 offers an extremely wide sensitivity range of ISO 200 to 6400. It delivers extraordinary image quality at low sensitivity settings, while also delivering outstandingly low-noise characteristics at ISO settings as high as 6400. Furthermore, sensitivity can be increased to HI 0.3, HI 0.5, HI 0.7, HI 1 (ISO 12,800 equivalent), HI 2 (ISO 25,600 equivalent), or decreased to Lo 1 (ISO 100 equivalent), Lo 0.7, Lo 0.5 and Lo 0.3, to expand shooting versatility. Features a startup time of approximately 0.12 second, and a shutter release time lag of only 40 ms* – both equivalent to the flagship Nikon D3. The continuous shooting speed is up to 5 frames per second with the included Rechargeable Li-ion Battery EN-EL3e, and up to 8 fps when using the optional Multi-Power Battery Pack MB-D10 and Rechargeable Li-ion Battery EN-EL4a/4 or eight AA-size batteries. The Nikon D700 is also compliant with the next-generation high-speed UDMA CompactFlash cards, that will enable 35-Mbyte recording speed. *Based on the new CIPA guideline established in August 2007. Nikon's state-of-the-art EXPEED digital image-processing incorporates remarkable intelligence and technologies accumulated and optimized throughout our long history. It makes possible a diverse range of functions that ensure superior picture quality and high-speed image processing. Improvements to the exclusive 1,005-pixel RGB light sensor have allowed information from the sensor to be utilized for auto exposure, auto white balance and autofocus. 3D-Tracking in AF, for example, achieved by using the Scene Recognition System, tracks subject position and automatically shifts the AF points used to match the subject's movement within the frame. This system also contributes to higher accuracy of auto exposure and auto white balance detection. Nikon's Control System enables users, from novices to professionals, to create the pictures they envision by making specific selections and adjustments to image sharpening, tone compensation, brightness, tone and saturation. Even with different cameras, when the settings are the same, you get the same picture tone. Picture Control System offers four fundamental setting options – Standard, Neutral, Vivid and Monochrome – for easy customization of image parameters. Active D-Lighting lets photographers choose from various intensities – Auto, High, Normal, Low or OFF (Unchanged) – prior to shooting. Instead of employing the conventional compensation method of simply expanding dynamic range, localized tone control technology is utilized to ensure proper contrast and eliminate flat images with lost highlights and shadows. The D700 incorporates a Multi-CAM 3500FX autofocus sensor module featuring 51 AF points. Fifteen cross-type sensors located in the center enable subject detection with lens apertures as small as f/5.6. The functioning of the AF points is linked to the Scene Recognition System, to deliver superior subject detection and focus tracking performance. A single AF point can be selected from the 51 or 11 focus points. In Dynamic-area AF mode, you can select from either 9, 21 or 51 AF areas. The 51-point option offers 3D-Tracking mode, which automatically shifts the focus point to match the subject's movements. Auto-area AF mode gives greater priority to the subject's position when selecting AF points. Live View allows shooting while confirming the subject on the 3-inch, 920,000-dot color LCD monitor. In Handheld mode, which lets you recompose the frame prior to actual shooting, ordinary TTL phase-detection AF is activated, using all 51 AF points including 15 cross-type points. Tripod mode is designed for precise focus accuracy with still subjects and tripod stabilization. It enables focal-plane contrast-detect AF on a desired point within a specific area. Remote view, focusing and shooting can also be controlled from a PC (via connection or wireless) using optional Nikon Camera Control Pro 2 software. 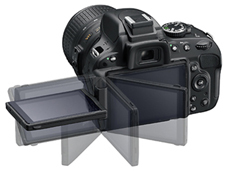 The Nikon D700 lets you select from either FX format (36 x 24) or DX format (24 x 16). At the default setting of [Auto DX crop], the camera will automatically select DX format when a DX NIKKOR lens is attached. The ultrahigh-definition [920,000-dot VGA (640 x 480)], 3-inch LCD monitor with tempered glass provides a 170° viewing angle. The large monitor is remarkably effective when confirming the focus with enlarged playback images. The wide viewing angle enables easy recomposing of the frame in Hand-held mode with Live View. The viewfinder features an eye-level pentaprism with high refraction index and provides 95% frame coverage with 0.72x magnification. Fifty-one AF points and a framing grid are superimposed on the finder screen. The eyepoint is 18 mm (at –0.1 m-1), and the diopter can be adjusted within a range of –3 to +1 m-1. Vibrations at four different resonant frequencies remove dust from the optical low-pass filter in front of the image sensor. This function is automatically activated each time the camera is turned on and off, and can also be activated on demand by the photographer. With a guide number of approximately 17/56 (m/ft., ISO 200, 20°C/68°F) and 24mm lens coverage, the high-performance built-in flash enables i-TTL flash control that evaluates flash exposure with greater precision for exceptional results. Compatible with the Nikon Creative Lighting System, the built-in flash controls up to two groups of remote units as a master/commander in Advanced Wireless Lighting. A magnesium alloy is used for the exterior cover, rear body and mirror box to reduce weight and provide rugged durability. O-ring sealing where connections are made gives you valuable protection against dust and moisture. The shutter unit developed and manufactured by Nikon employs shutter blades made of a new material (a hybrid of carbon fiber and Kevlar). Tested on fully assembled cameras, the D700's shutter unit has been proven through 150,000 cycles under demanding conditions. The self-diagnostic shutter constantly monitors and maintains shutter precision. The optional Multi-Power Battery Pack MB-D10, which uses one Rechargeable Li-ion Battery EN-EL4a/4/3e or eight AA-size batteries, is equipped with a shutter-release button, AF-ON button, multi selector, and main- and sub-command dials. When attached, it enables high-speed continuous shooting of 12.1-megapixel images at a rate of up to 8 fps*. * When using EN-EL4a/4 or eight AA-size batteries. The WT-4/4A supports both wired LAN (10BASE-T, 100BASE-TX) and wireless LAN (IEEE 802.11b/g, 11a), and incorporates a thumbnail mode. A PC allows wireless connection of up to five cameras, for display of thumbnail images and downloading of selected images. Using Camera Control Pro 2 (option) and the Live View function, wireless remote view/control shooting is also possible. The focal point in AF for the current CPU lenses can be fine-tuned and registered. A certain level of adjustment set for up to 12 lens types is applied when a lens of the same type is attached. When using a lens that has not been registered, the same level of adjustment can be applied. In addition to the exclusive Function button, this feature can be assigned to the Preview button and the AE/AF Lock button, for optimum flexibility. Furthermore, NEF copy recording together with JPEG image can be assigned to the Function button. The D700 complies with HDMI (High-Definition Multimedia Interface) Ver. 1.3a for the transfer of global-standard video and audio signals. A Type C mini connector is provided. Various shooting information is displayed on the LCD monitor, including shutter speed and aperture. Character color can be adjusted to match lighting conditions – black for light locations, white for dark locations. Auto switch mode can also be set. A variety of setting options can be customized under My Menu, then added to, deleted and reordered. Using a sensor incorporated in the body, the inclination of the camera is detected and displayed in the LCD monitor. The ViewNX viewer application offers quick display of images; Nikon Transfer enables simple transfer of taken images to a computer. So here I sit contemplating whether I truly need such a camera in my collection. The obvious answer is yes. But at the same time I am quite satisfied with what I already own. This could be a tough one! Can one camera really do it all? 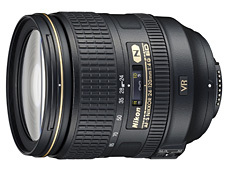 A 16.1 megapixel Back-illuminated CMOS image sensor is paired with a 42x zoom NIKKOR ED glass lens that covers the phenomenal focal range of 24 mm wide-angle to 1000 mm super-telephoto*. Newly advanced Lens-shift VR image stabilization compensates more effectively than ever** for camera shake. This serves as a big aid in achieving consistently sharp results, particularly when taking advantage of the super-zoom or shooting macros. The 7.5-cm (3-in.) vari-angle 921k-dot (approx.) high-resolution Clear color display can be tilted as much as 90 degrees (approx.) upward or 82 degrees (approx.) downward. You can assign often-used functions to the new Function button for quick one-touch access. The handgrip is designed to help minimize camera shake. And the body includes a side zoom control for stable handling. The COOLPIX P510 keeps you ahead of the action with high-speed shooting options. High-speed continuous shooting enables rapid capturing at 7-fps (approx.) for full-resolution (4608 x 3456) images*. Other high-speed modes include Sports continuous mode (approx. 60fps/120fps) and the Pre-shooting cache. * Up to five consecutive images. The continuous shooting and compositing capabilities of the Back-illuminated CMOS image sensor help you take beautiful night landscape or night portrait pictures while shooting with the camera in hand. I may not be ready to replace my collection of DSLR's but these are some very impressive specs for a compact camera.